With the cost of new apparatus spiraling ever upward, having access to lease funds has become critical for numerous fire departments nationwide. We work with Fire Departments with strained budgets and can help them get the apparatus they need while using their budget funds most effectively. Our low rates help you acquire the fire apparatus you need now, helping to avoid inflation which can often be higher than our interest rate. Even if you’ve been turned down for a grant or “shorted” on the amount you need, we can probably still help. Financing available for new, used or demo fire apparatus. Our application & approval process is painless. Long, fixed rate lease terms are available for this apparatus, enabling budgeting years in advance. Other costs, such as warranties and spare parts can be included in the lease. Lease-financing of fire stations is also available. 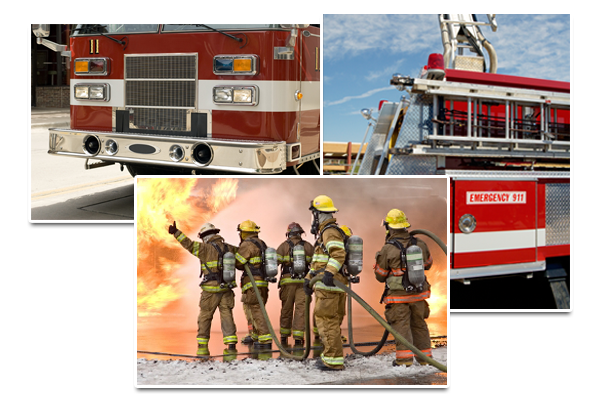 The Fire Department takes title to the lease at the end of the term with our lease-to-own plans. There are no hidden charges. With LeaseSource, Inc. you will always know the total borrowing cost. We welcome your questions. E-mail us or call your LeaseSource representative at (800) 422-8328 now for more information.